Relationship thriller exploring the emotional fallout of a child's abduction. In 2006, Oliver goes missing on a family holiday to France. Eight years on, new evidence emerges. 2006. Tony and Emily Hughes' life changes forever when their five-year-old son Oliver goes missing on a family holiday to France. A huge manhunt led by Julien Baptiste, one of France's finest detectives, is launched. The French police face an uphill struggle in their mission to find the young boy - Oliver seems to have disappeared into thin air. Tony and Emily are in a foreign land - they do not speak the language and do not understand the rules. As their desperation and the profile of the case grows, Tony and Emily find themselves thrown into a media maelstrom, learning the hard way that not everyone they meet is willing to operate in their best interests. Present day. Eight years on from Oliver's disappearance, the fallout has resulted in the end of Tony and Emily's marriage. Tony refuses to believe that Oliver is dead and doggedly continues his search to find his son. After years of searching, Tony is given new hope when a shred of evidence emerges. This reignites the interest of Julien Baptiste, the lead French detective at the time of the disappearance, who returns to Chalons Du Bois to try and finally get to the bottom of what happened to Oliver Hughes. Oliver Hughes' disappearance creates a ripple effect on the community of Chalons Du Bois. 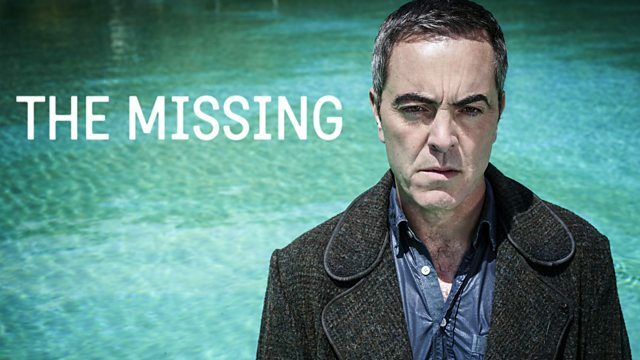 The Missing director writes on the BBC TV Blog about making the show. Characters: Who's affected by Alice's disappearance? Find out who's affected when missing Alice Webster mysteriously reappears after 11 years. Writers Harry and Jack Williams explain the premise and themes of the new series.